Posted on 1, March 2018 by EuropaWire PR Editors | This entry was posted in Education, Germany, Healthcare, Science and tagged anxiety, anxiety disorders, disorders, heart attack, Helmholtz Zentrum München, Karl-Heinz Ladwig, Technical University of Munich (TUM). Bookmark the permalink. MUNICH, 01-Mar-2018 — /EuropaWire/ — Fear protects people from danger. A team from the Technical University of Munich (TUM) and Helmholtz Zentrum München has discovered that this applies even to pathological anxiety disor-ders. Patients who generally suffer from severe anxiety are likely to heed the symptoms of a heart attack earlier and seek medical treatment sooner, thus improving their chance of survival. People with anxiety disorder have irrational fears that are unrelated to any real danger. They are often apprehensive about everyday situations, which can put a heavy strain on their lives. The re-sult can be an increased risk for cardiovascular diseases. However, since time immemorial fear has also served as an effective protective mechanism in acute emergencies. 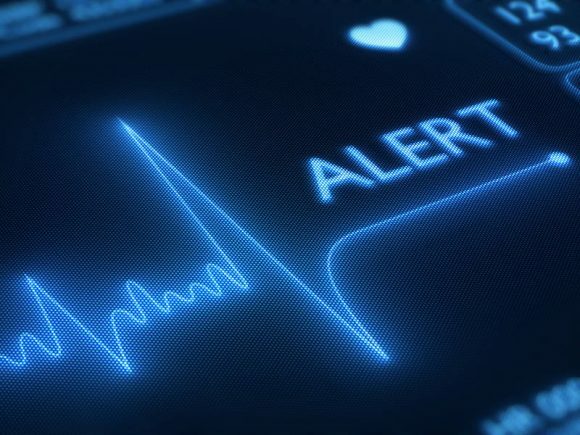 A team headed by Profes-sor Karl-Heinz Ladwig of the TUM and Helmholtz Zentrum München has now discovered that even anxiety disorders can be advantageous when it comes to reacting to a heart attack. For the study they made use of data from the MEDEA study (Munich Examination of Delay in Pa-tients Experiencing Acute Myocardial Infarction), in which 619 heart-attack patients were inter-viewed in hospital within 24 hours of leaving the intensive care unit, as well as other data such as the time of arrival at the hospital and the course of the disease. Prompt drug treatment after a heart attack reduces damage to the heart, subsequent health im-pairment and the likelihood of death. About 12 percent of the patients in the study had anxiety disorder. It turned out that those pa-tients reacted more quickly to an acute heart attack and arrived at the emergency room sooner. The time difference between female heart attack patients with and without anxiety disorder was particularly marked: on average, the former reached a hospital 112 minutes after the onset of a heart attack, while their counterparts without anxiety disorder took around two hours longer. Many scientific studies have shown that every half hour is crucial for survival following an acute myocardial infarction, Karl-Heinz Ladwig explains. The team was, however, only able to statistically demonstrate the protective effect of anxiety in women, not in men. Nevertheless, a positive trend was also observed in men with anxiety disor-der: they were able to be treated 48 minutes earlier on average. Nevertheless, as the study also showed, the psychological costs of this survival advantage are high: patients with anxiety disorder suffer significantly more from stress, extreme fatigue and impaired general well-being than those without anxiety. In future studies, the researchers want to investi-gate the role of cultural differences and are planning a similar study in Shanghai.